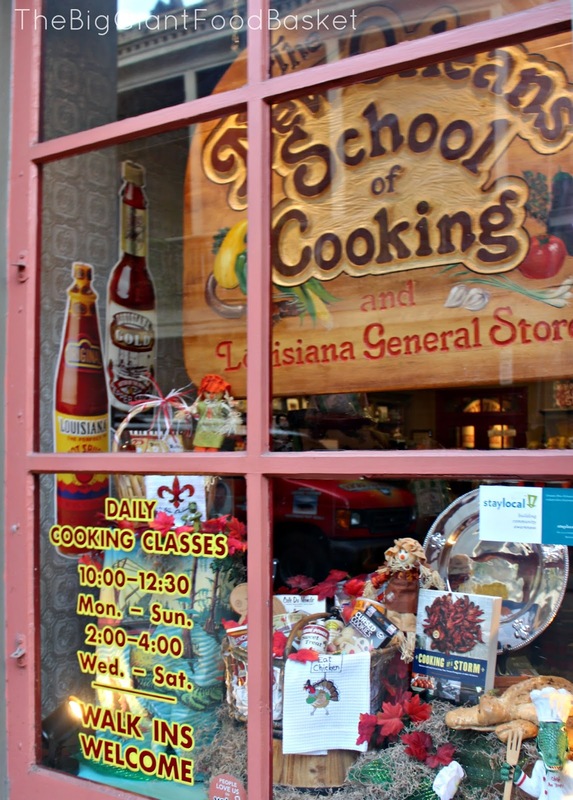 While my sister Kim and I were in New Orleans last week, I somehow manage to stumble across the New Orleans School of cooking while out for a walk on Monday morning. I immediately signed up for the $29 cooking demonstration scheduled for Tuesday which was to run from 10:00 to 12:30. Included in the price was lunch plus beverages, and a taste of Louisiana's own Abita beer. 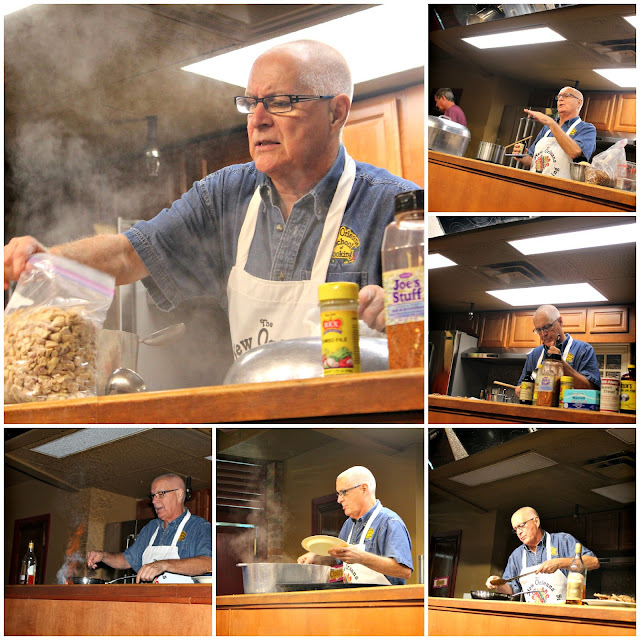 Chef Michael was our demonstrator of the morning and he not only prepared the most incredible Gumbo and Jambalaya, but he also gave us a complete and colorful history lesson about the how the flavors of this region's food came to be. 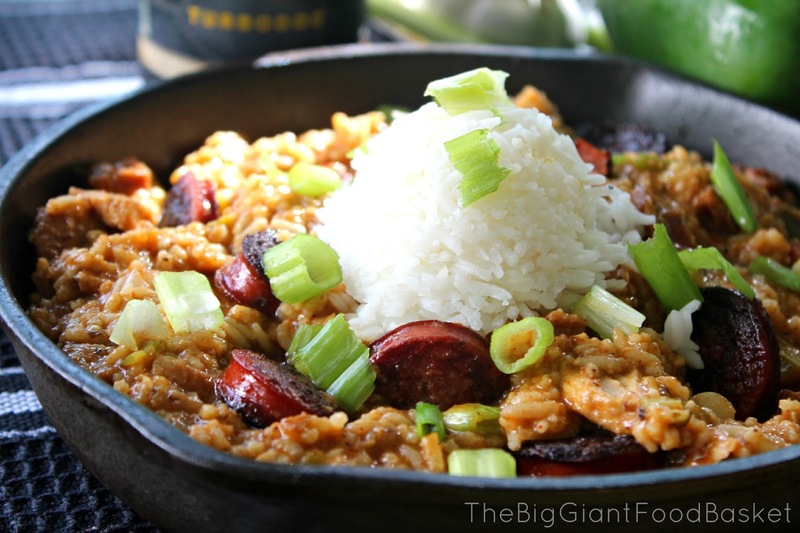 As you probably already know, Cajun and Creole are the two main types of fare you'll find in New Orleans and are represented by people known as Cajuns and Creoles respectively. Both groups are heavily influenced by French culture, but the differences in how each group developed keeps them distinguishable. Arguably the main difference between the Cajuns and Creoles lies in the way each group migrated to Louisiana. Chef Michael explained how the Cajuns, who were originally French columnist in Canada called Acadiens, came to Louisiana as a result of the British government becoming fearful that the Acadiens would rise up and fight with the French during the French Indian war of the early 1700's. By mid century the British seized the Acadiens' farms and burned their villages because they would not adopt the king's Protestant religion and defend the royal kingdom. So after 40 years of refusing to abdicate their beliefs, British soldiers loaded Acadian families on ships of various destinations from New York to the West Indies. Some ended up in Louisiana where they were found acceptance with it's French background and Catholic heritage. This is where the Acadiens became known as Cajuns as they developed their own distinct lifestyle in the swamps and surrounding areas of Louisiana. Creoles on the other hand are little bit harder to define but typically they are the descendants of the settlers in the New Orleans area. These settlers are of French, Spanish, Italian, Caribbean and African ancestry, and descendants of African Americans both slaves and free. 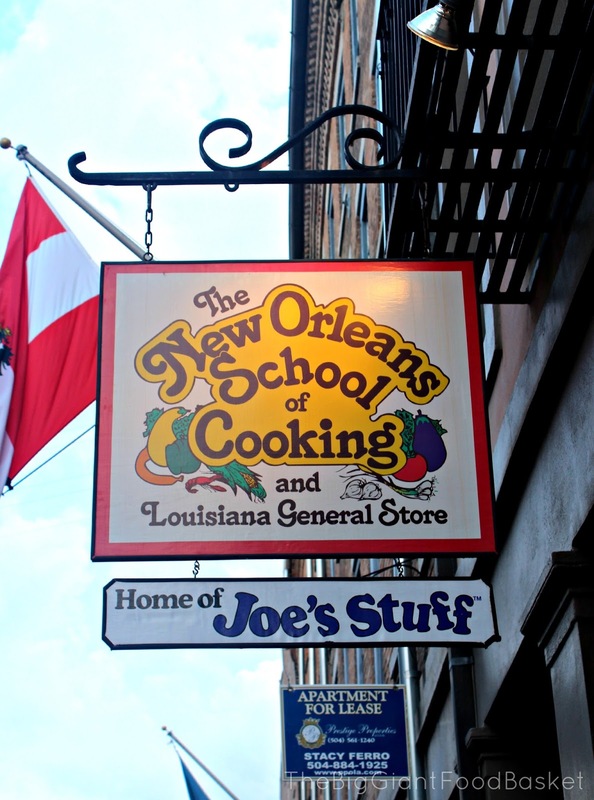 The difference in cooking has to do with where each group settled in Louisiana. Cajun cooking is though of as "country" fare since the Cajuns had to live off of the land and often used pots for cooking. Their food incorporates meats like pork, chicken, sausage and craw-fish Cajun cooking will tend to lean on the "holy trinity" of vegetables which are celery, bell pepper and onion, and is typically spicy since cayenne pepper is used good amounts along with herbs like thyme, paprika, parsley and pepper. Creole cooking is sometimes referred to as more "urban" fare since the Creoles had access to a larger variety of foods native to their countries of origin, as well as to local markets. European influences is largely infused into creole cuisine. Creole dishes utilizes lighter proteins like shrimp, crab and oysters. The "holy trinity" is also used in creole cooking with the addition of tomatoes and garlic (or the "pope" as Chef Michael likes to refer to garlic) which is a sign of Italian influences. The Creoles use less cayenne in their cooking and rely more on allspice, mustard and okra which results in very flavorful but not too spicy dishes. 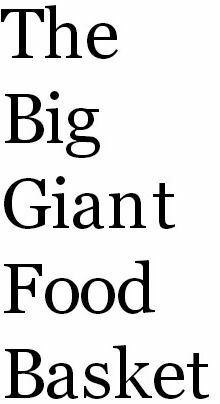 Both styles of cooking incorporate the use of a flour as a base to thicken dishes. The Creoles use butter with flour while the Cajuns use oil. ...all made right in front of our class of 40! Season and brown the chicken in oil or if you have it on hand, bacon fat, over medium heat. Add sausage to pot with chicken and continue to saute. Remove the meat from the pot leaving the drippings. Next saute the trinity along with the Pope in the drippings until tender. Return the meat to the pot and add your seasonings plus gradually pour in the stock and bring to a boil. Stir in your rice, cover and let simmer for about 25 minutes. Uncover and quickly turn the rice from top to bottom completely. Replace cover and let sit for another 20 minutes, then stir the rice in the same fashion again from top to bottom. Add chopped green onions an tomatoes if desired. 542 Louis Street right in the heart of the French Quarter. If you plan on visiting New Orleans and would like to attend one of the school's classes, make sure you call ahead for a reservation. Classes do fill up fast. You must have had so much fun doing this. What a unique experience. 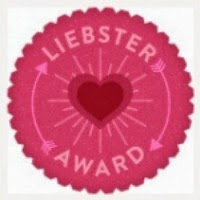 Thanks for linking this to BeColorful this week. 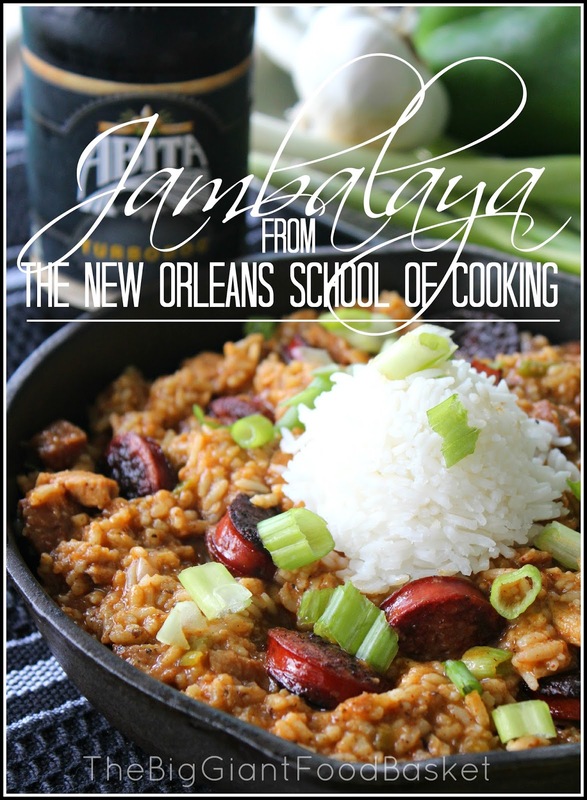 Great Jambalaya recipe.. your name reminds me New Orleans Bar and Grill restaurant I had an appetizing seafood experience there.